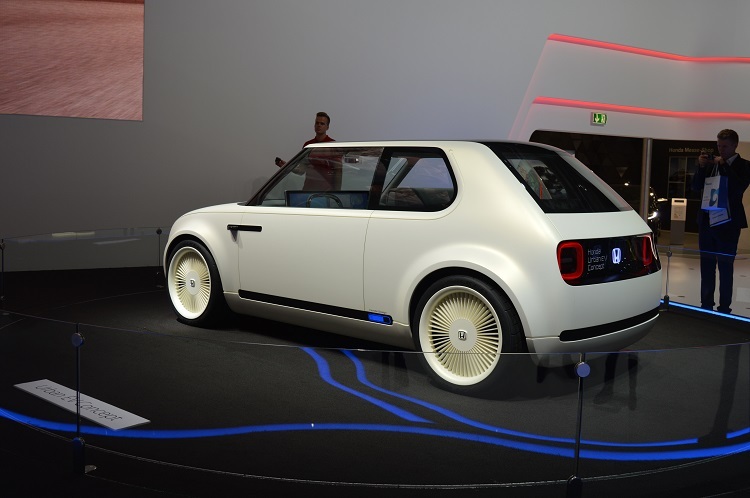 Home/car news, motorshow blogs/THE HONDA URBAN EV CONCEPT CAR. 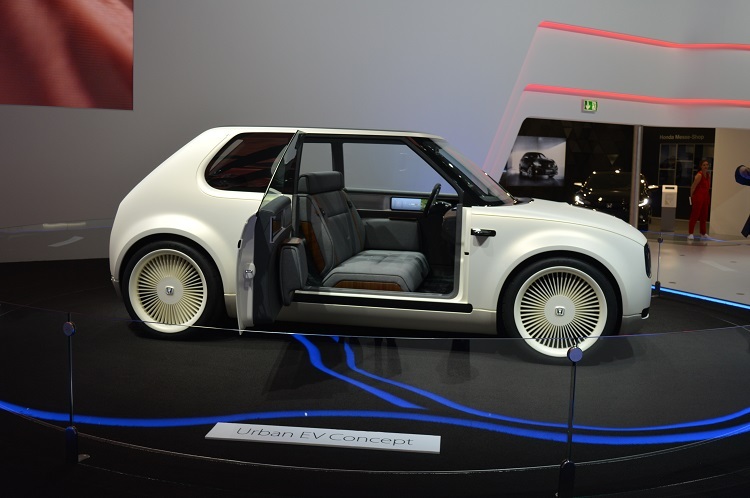 Frankfurt Motorshow 2017 blog part 8. I really enjoy viewing concept cars and this one really did make my hairs stand up on the back of my neck! With the good news that Honda will produce this car in 2 years, I feel nothing but a positive future for this car and the Honda brand. If the Honda engineers sticks to the styling of this concept car our eyes are in for a real treat. Seeing it for real you notice how short this concept car is in length. 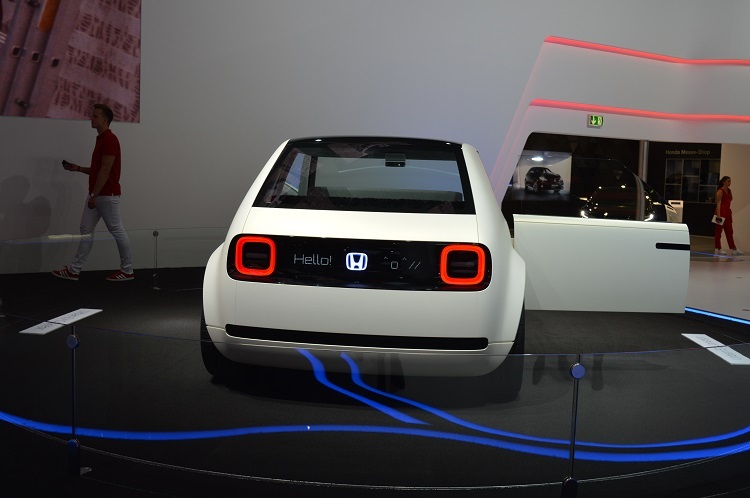 New cars seem to be getting bigger but this Honda Urban EV Concept is 100mm shorter than the Jazz which is Honda’s supermini. The fact it is short is a big tick for me. The body styling has a late 1970’s early 1980’s hot hatch theme with a long bonnet and short swat rear end. The body is so clean with no big bumpers or big body panel gaps. Will it have the suicide doors and a bench front seat? I don’t really know? I am just glad that it doesn’t have that “EV plastic styling” which some other car companies have used. I wonder if it can be fitted with a Hydrogen Fuel Cell unit? 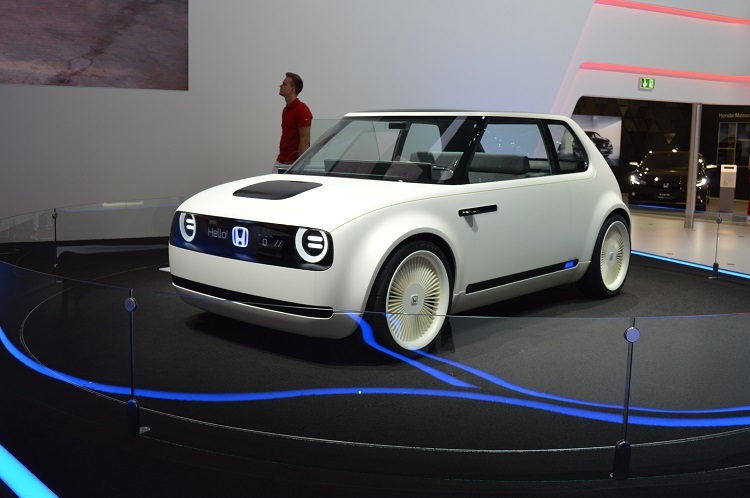 HONDA URBAN EV CONCEPT CAR SET FOR PRODUCTION. Car news blog.